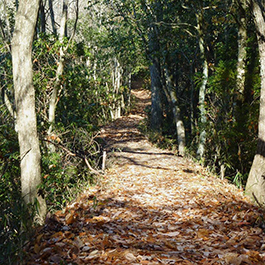 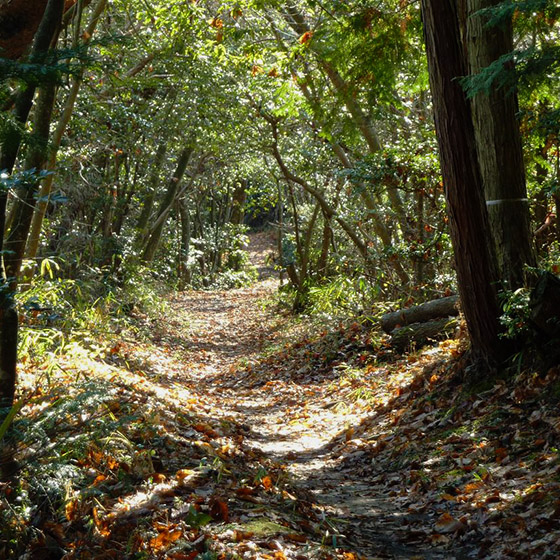 This is the mountain trail where the local Hiroshima Prefecture Sera High School’s track and field team, which boasts seven wins in the All-Japan High School National Ekiden Championships, has been racking up training for more than half a century. 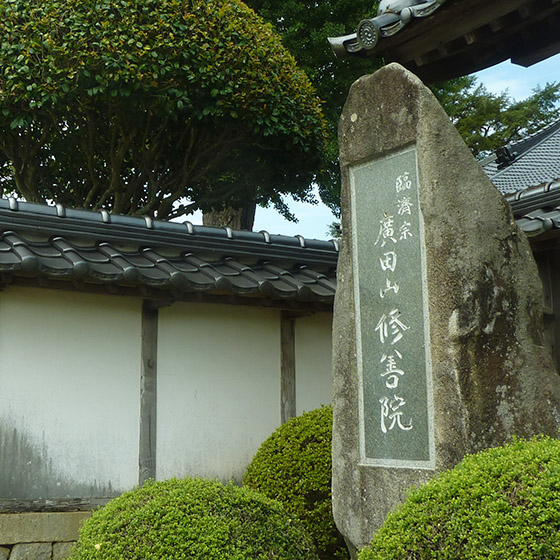 At Shuzen-in, the trail’s starting point, stands the only outdoor stone statue in Japan dedicated to Skanda, said to be the god of running. 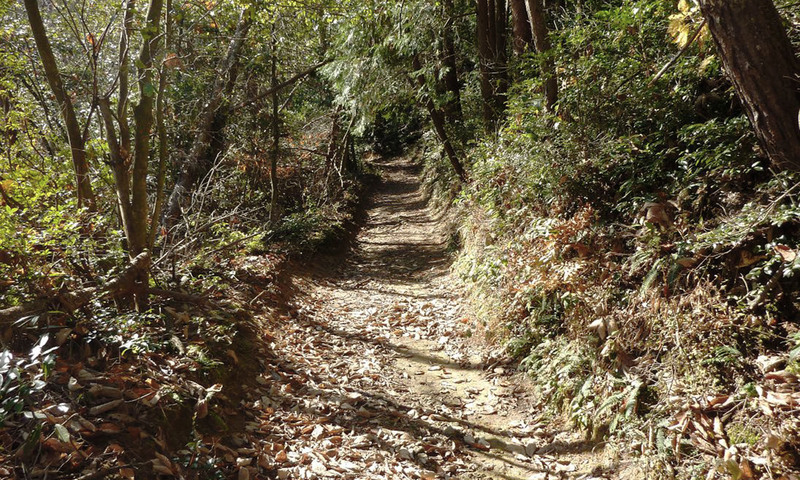 The track undulates intensely and the foot surface is uneven, but it offers good training for a runner’s cardio-pulmonary function and leg strength. 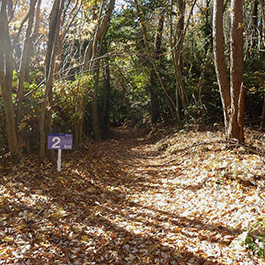 The cross country course is 4.85 km long out and back and it requires resolve to run it solidly, going all-out. Am I capable of showing my true potential by running up the steep slope at the halfway point today? 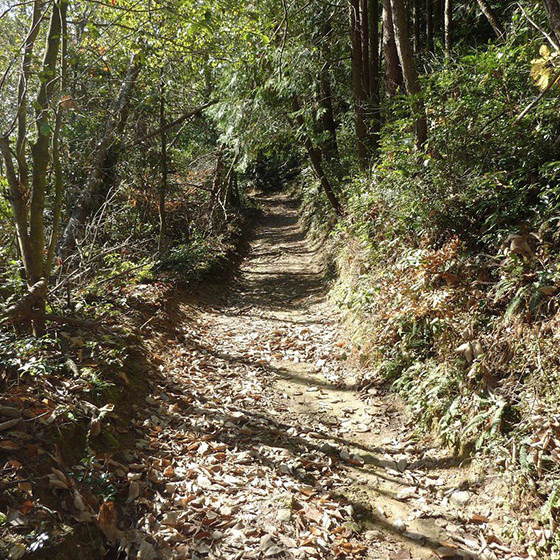 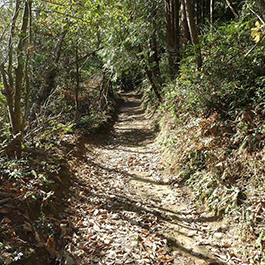 The wooded mountain path is cool in summer and warm in winter. 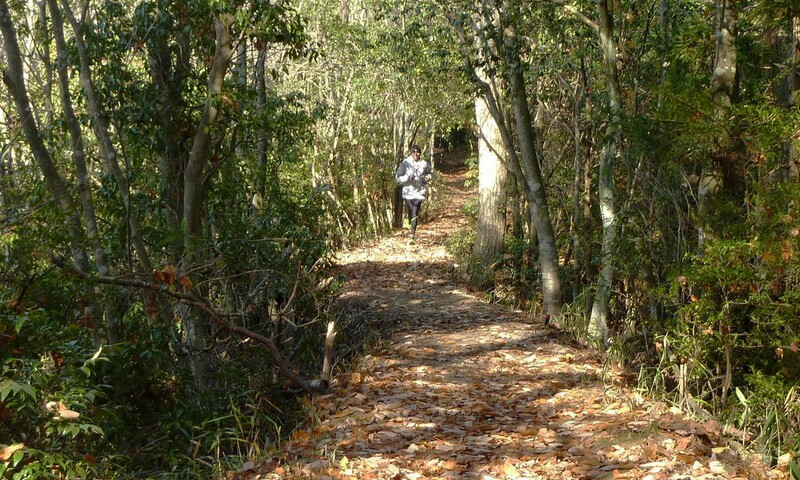 Nature provides you with high-level training. 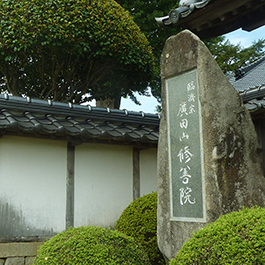 The course is maintained by senior citizens and other volunteers.Support by locals nurtures the team’s strengths and traditions. 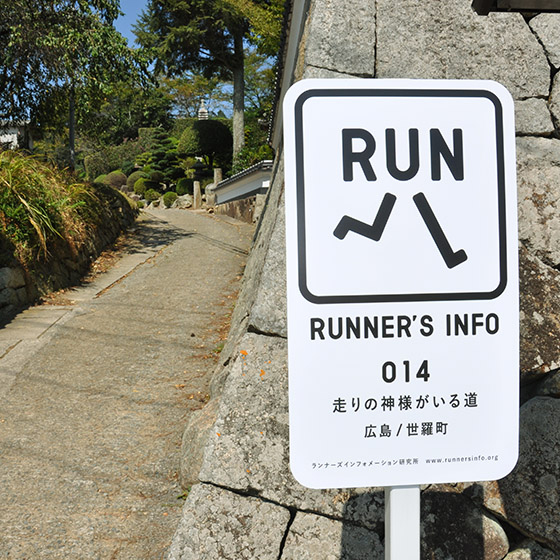 I’ll run it again today, with a feeling of gratitude. 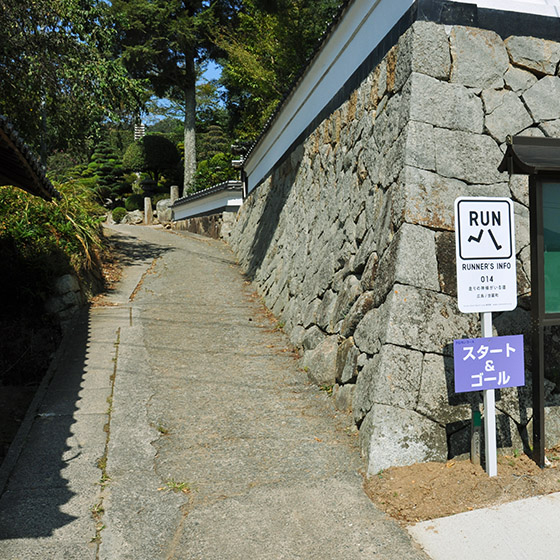 Altitude variation: Steep climbs at start and at midway point out and back. The course undulates overall. 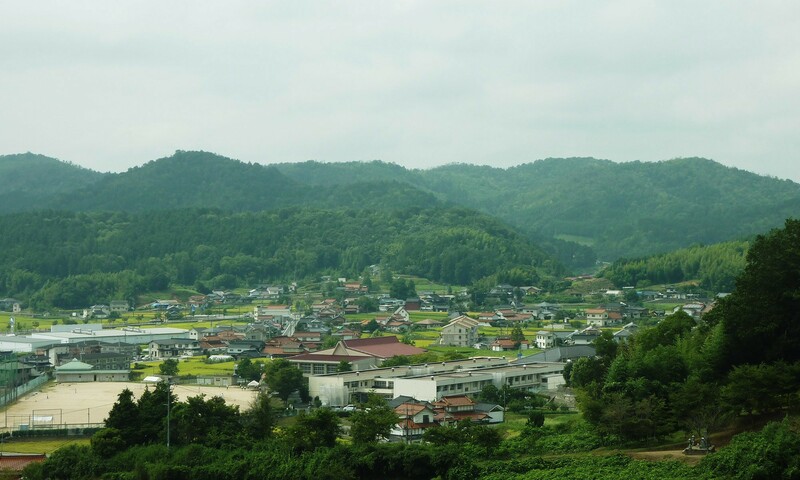 Approximately 90 minutes by bus from Hiroshima City. 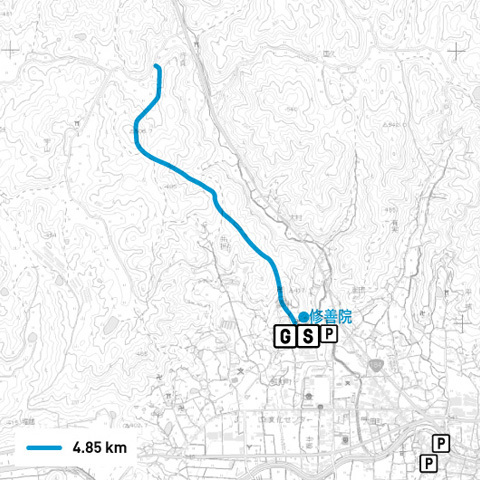 Around 15 minutes on foot from the south bus stop for Sera Central Hospital.